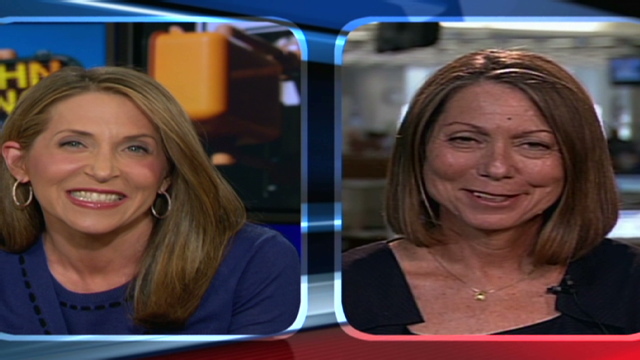 CNN’s Jessica Yellin asks Jill Abramson what it means to be the first female executive editor of The New York Times. This interview aired on CNN’s John King, USA at 7 p.m. ET. Visit CNN.com for a full transcript; a highlight from the interview is after the jump. JESSICA YELLIN, CNN NATIONAL POLITICAL CORRESPONDENT: The executive editor you are replacing, Bill Keller, has been publicly very disdainful of websites like “The Huffington Post” and Arianna Huffington in particular, equating her business model to piracy. Do you agree that websites like “The Huffington Post” actually hurt journalism? JILL ABRAMSON, EXECUTIVE EDITOR, “THE NEW YORK TIMES”: I wouldn’t go that far. I think that, you know, the aggregation of pieces of journalism that, you know, other news organizations have paid dearly to like get the story, get it right, tell the story behind the story, is — you know, poses a threat to us in some ways. But I respect the fact that an awful lot of people like to read that way. And, in some cases, I think The Huffington Post has been inventive and presents what it aggregates well. So, you know, I don’t see myself — I’ve known Arianna Huffington since the early ’90s in Washington. She is an inventive person. I certainly don’t want to be in a war with her.